Nicholas (left) with his brother, Nathanael, in 1994. In Reversed: A Memoir, Lois Letchford describes the powerful journey of how the education system failed her son, Nicholas, saying he'd never learn to read and had no strengths. Yet how can a boy with "no strengths" build 14-foot replica of the Empire State Building out of thousands of K'NEX Construction Toy pieces from memory? Nicholas with K'NEX in his bedroom in the Brown House. Nicholas and his K'NEX Colosseum. 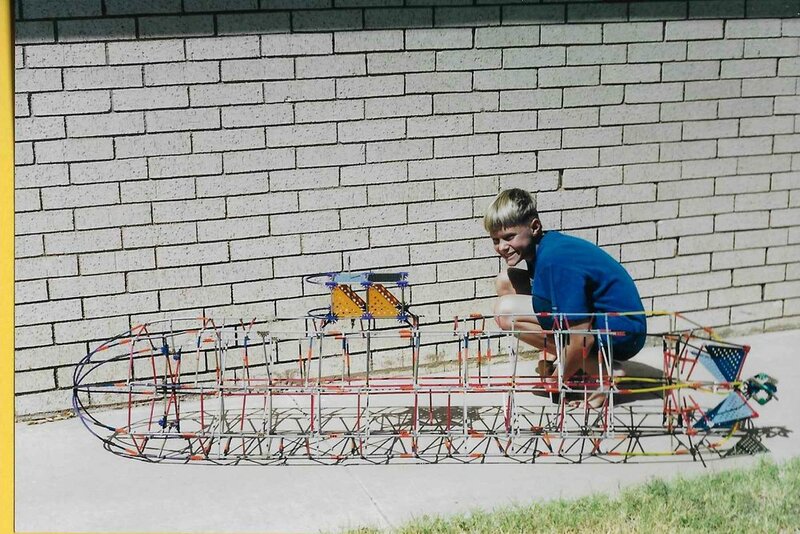 Nicholas and his 4th-grade teacher, Rocky Wilson, and his K'NEX Eiffel Tower. This is the Ptolemy map (~150 A.D.) that engaged Nicholas' learning.